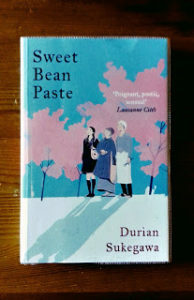 Please join Book Club for a discussion AND potluck/movie viewing of Sweet Bean Paste by Durian Sukegawa (also known as Dorian Sukegawa and Tetsuya Akikawa). You can find the book on Amazon here. We look forward to seeing you all on August 26 at 3:00pm. Please RSVP for the address.